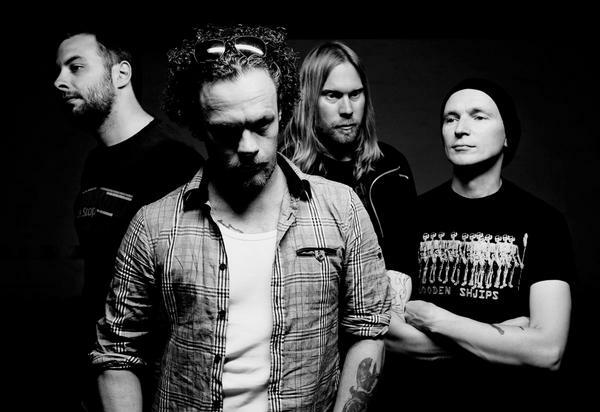 SWITCH OPENS are a Swedish Experimental/ Post Metal act formed in 2000 in Stockholm under the name FINGERSPITZENGEFÜHL. They later changed their name to SWITCH OPENS. The band consists of Anders Bartonek on Drums, Tomas Bergstrand on Guitar, Jesper Skarin on Bass and Vocals and Mikael Tuominen on Guitar. 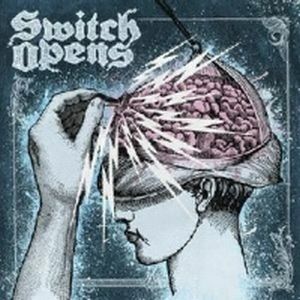 SWITCH OPENS released their self-titled debut full-length album in 2009 through GMR Music Group. SWITCH OPENS inclusion to the Prog Archives database was approved by the Progressive Metal Team. Swedish foursome SWITCH OPENS have been around for a good dozen years by now, although for the first 8 of these cycles they were known as Fingerspitzengefühl. Switching (sic) names in 2008, they have released two full albums under their current band name. 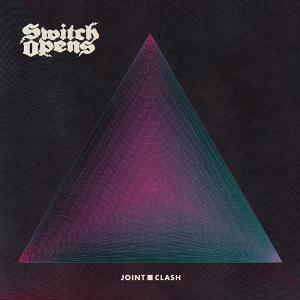 "Joint Clash" is the most recent of these, and was issued by Swedish label Transubstans Records in early 2012. I presume that this is a band that will have quite a few critics, hacks and music journalists scratching their heads ever so slightly when they are going to place this act and their music within a frame of reference. Doom metal and psychedelic rock are bound to be mentioned, the more avid and concentrated of the lot will surely mention post rock too, but as far as possible influences are concerned I suspect I'll not be alone in coming up short. Bands like Soundgarden, Electric Wizard, Hawkwind and even Celtic Frost came to mind for me, and I'll toss in Mastodon too on pure suspicion, but I'm not sure if any of them are direct sources of inspiration. 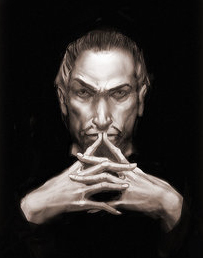 Of course, those who are much more well versed in the metal scene than I am might find this task to be much easier, but personally I'll have rest on this list of possible indirect influences to establish a frail contextual reference. But whatever you call the music and however you place them within a stylistic framework, the end result is an engaging and fairly innovative one. Thundering bass guitar is the key element throughout, creating a massive theme foundation on top of which a dual set of guitars hammer down riffs and the drums serves of energetic and frequently rather refined rhythm cascades. But that only cover half the story. The guitars aren't actually hitting into the dark and brutal riff universe that often, instead maintaining something of a vintage 70's hard rock and metal expression just as often. That is, when they aren't hitting melodic harmony solos with distinct psychedelic flavouring, textured post rock swirling solo motifs or otherwise engaged in adding a psychedelic sheen to the proceedings that is a trait as defining for this album as the downtuned and at times brutal bass guitar is. And just about when you thought the band had revealed all their secrets, from the massive grunge and doom on opening track Square to the doom metal ballad going brutally psychedelic on the brilliant Pompous Pumping Heart to the gentler psych tinged going massive doom metal and back trek of Like Fire, then we're provided with The Reunion. Blending some variety of folk-tinged psychedelic excursions in the vocal parts with doom metal instrumental interludes, and then taking a sharp left turn and heading for outer space Hawkwind style, bringing us down to Earth again with a repeat of the opening instrumental doom metal theme. This elongated feature then followed by a frail, folk-tinged psychedelic effort which just happens to be the title track, briefly inserting some thundering moments prior to drifting out on a gentle, psychedelic breeze. It's a hell of an interesting journey, and the most inventive doom metal production I've encountered in quite a while. Defining a target audience for this production is just about as difficult as placing this band within a frame of reference, so I'll limit myself to something of a repeat performance in this case. If psychedelic doom metal sounds like an interesting description, this is an album you might want to investigate. And I suspect that a good many fans of bands like Soundgarden, Electric Wizard, Mastodon and Celtic Frost will enjoy this disc, and possibly some of the more open minded followers of Hawkwind too.